It’s my first time get in touch with Sothys products. Have been hearing so much raves about Sothys, and finally I have a chance to know more and try out their products. 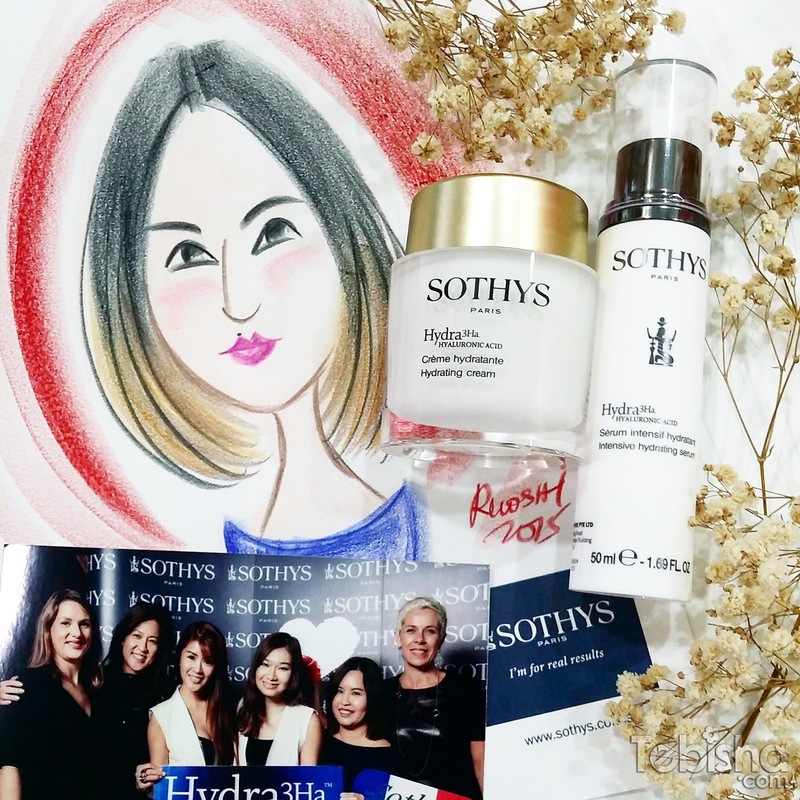 Last month, I attended the media launch event of Sothys 3D Hydrating Programme, event was held at Redbank Bar and Grill, Claymore Connect. It was a cozy afternoon with fellow beauty bloggers and the Sothys Team. We were introduced to their new 3D Hydrating Programme, targeting ladies who are having dehydrated skin. This home care range offers immediate and long-lasting hydration through synergetic actions. Skin will be intensely moisturised and regenerated. 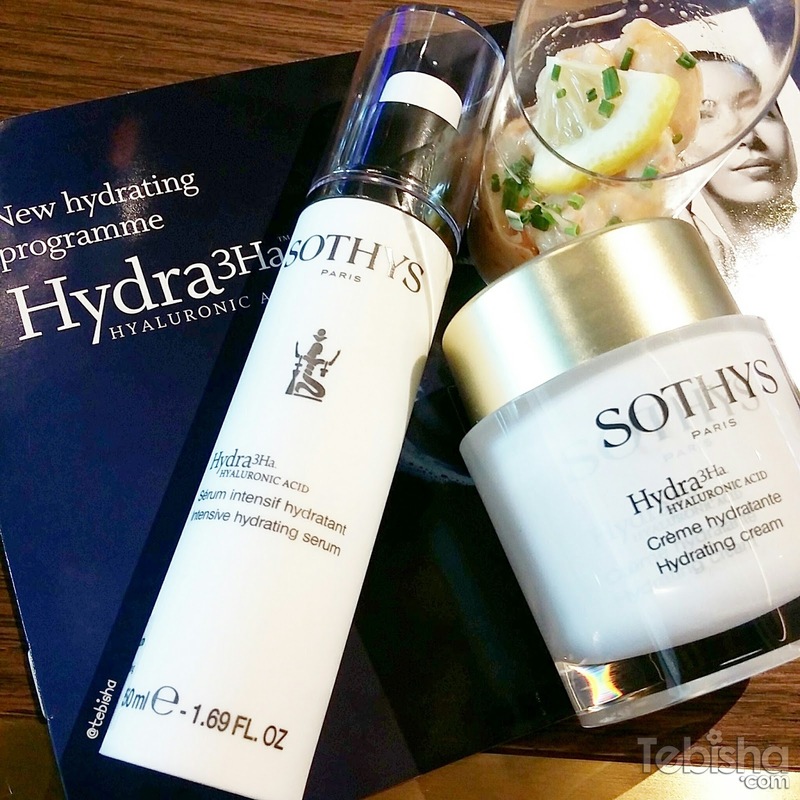 I was given the Hydra3Ha Intensive Hydrating Serum and Hydra3Ha Hydrating Cream to try. Have been using them for more than a week, I love the texture of both serum and cream. It’s non-oily and absorb into skin efficiently and effectively. Read my detailed reviews below. Lightweight intensive serum immediately restores skin’s moisture with long-lasting results. Formulated with 1055 Boletus Extract and Low Molecular Weight Hyaluronic Acid, skin is intensely moisturised and feels regenerated. Youth is preserved. My Reviews: Sothys products always gives a soothing and pleasant scent. I love the non-oily and lightweight texture, perfect for my combination skin. It hydrates my skin effectively, especially my cheeks area. It keeps my skin soft and supple. 2 textures to meet the sensorial needs of different skin preference. Immediately quenches dehydrated skin and provide daily protection with patented 1055 Boletus Extract and High Molecular Weight Hyaluronic acid. Skin’s radiance and youthfulness are preserved daily. My Reviews: I wanted to have the gel cream but it seems like it’s popular among the guests and all have taken up. So I left with no choice to bring the hydrating cream home. Initially I thought the hydrating cream may be to heavy for my combination skin, but I was wrong. It’s actually works well on my skin and doesn’t cause any breakouts. Although it’s cream type, the texture is not greasy at all, I’m impressed with the fast absorbent and doesn’t leave skin sticky and uncomfortable after application. Just a tiny green bean size of cream, gently pressed onto the skin with both palms. Apply in the morning and night after hydrating serum, do avoid eye contour areas.